Our award-winning school is one of the best in the state, but we have a gap in funding: our school's needs are beyond the state's provided funding. 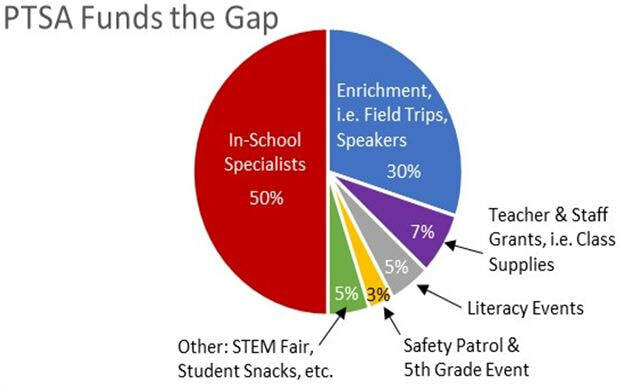 Your donation to Woodridge’s PTSA can fill this gap by fully funding programs that drive our students’ academic success, health, and well-being. The Drive for Excellence is a Woodridge PTSA sponsored initiative to raise $35,000 between Oct 8th and Dec 17th. Your donation will go directly to fund additional classroom support, science and reading programs, cultural programs, and safety measures. None of these programs would be possible without additional financial support through your generous donations. Any contribution, large or small can help fully fund our programs. Please consider donating by cash, check, or online by credit card through the DONATE NOW button on this page. *All funds donated will go into the PTSA unrestricted general fund and will support all of the priorities listed. No funds donated will be earmarked for specific programs. A word from our principal. Watch this video from Principal Nicole Hepworth to hear more about the tangible impact your donations make every day, for each and every student. Each year, the PTSA Board approves an operating budget based on the school administration's stated needs.